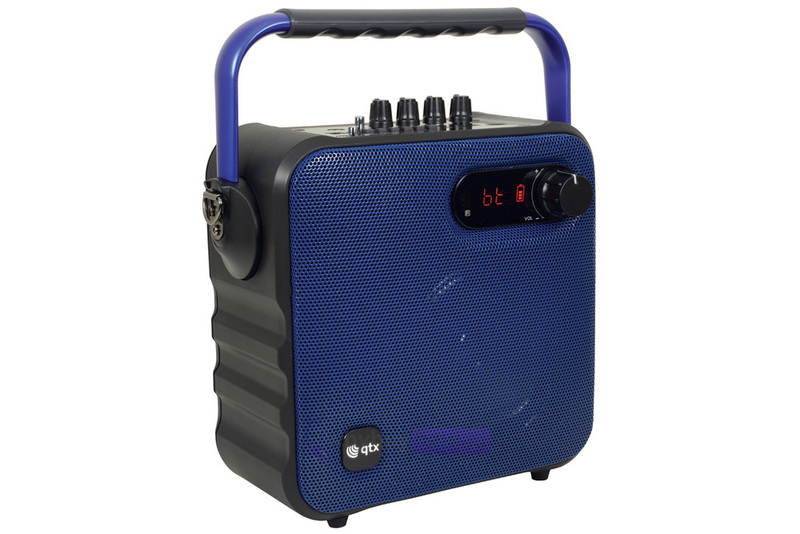 The QTX QX05PA (blue) is a portable party Bluetooth speaker with a built-in FM radio and wireless VHF microphone. 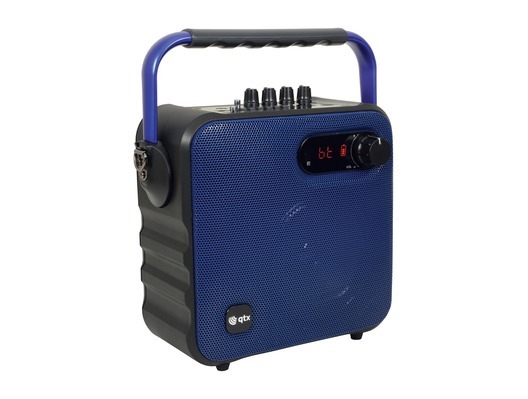 This compact 5.25" full range speaker provides great sound quality and a 30W RMS output. You can stream music wirelessly from any Bluetooth device, or via the SD card and aux input for non-Bluetooth devices. 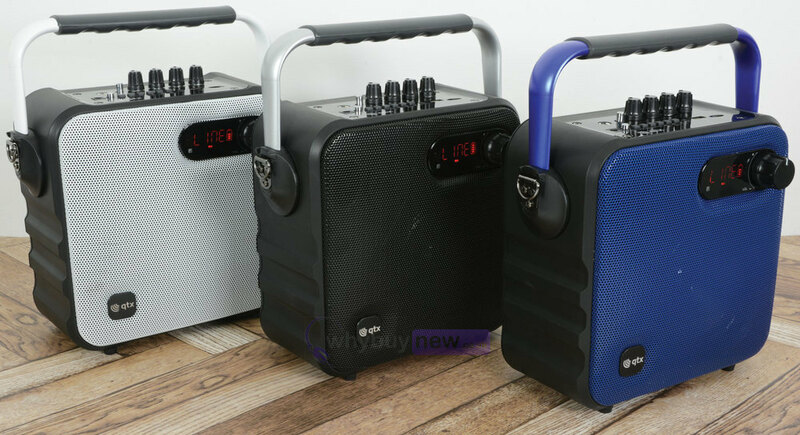 Look no further for a portable powerful Bluetooth speaker, which is ideal for house gatherings and parties, kid's rooms and even festivals. 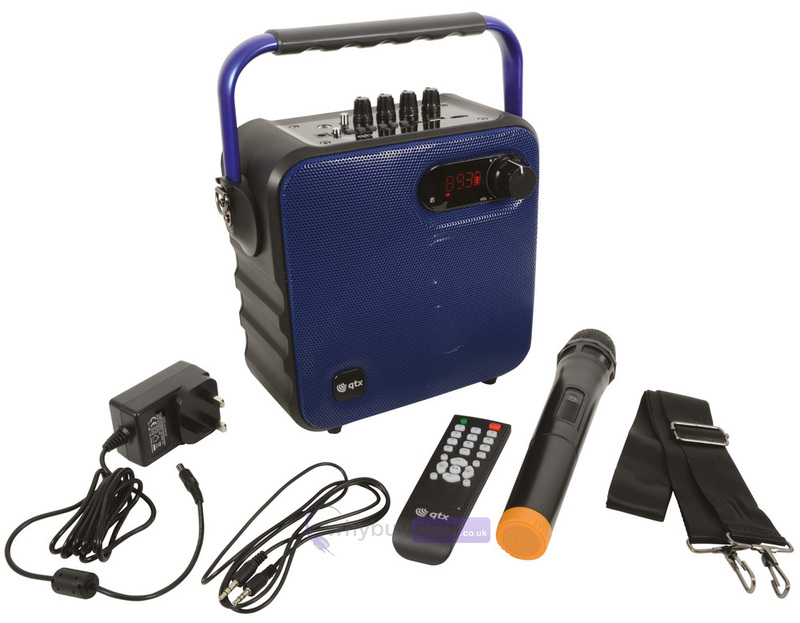 Play your music direct from your smartphone or tablet using the Bluetooth function and you can even sing along using the handheld wireless microphone. 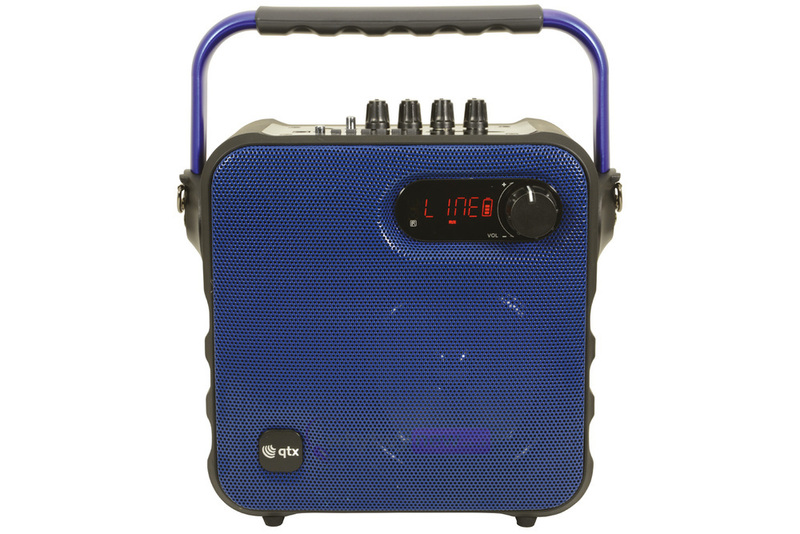 Not only does it have Bluetooth connectivity, but you can also listen to audio from the built-in FM radio, the USB/TF (micro SD) media inputs or the Aux line input (3.5mm jack) to stream your music. 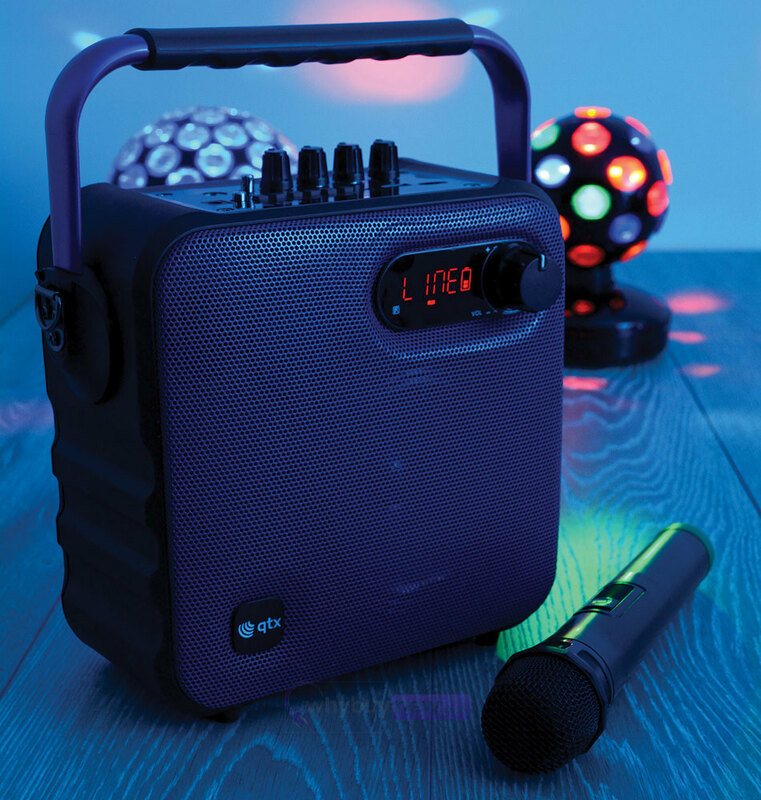 Power this great speaker by either mains or the integral rechargeable battery, which lasts up to 10 hours on one charge. 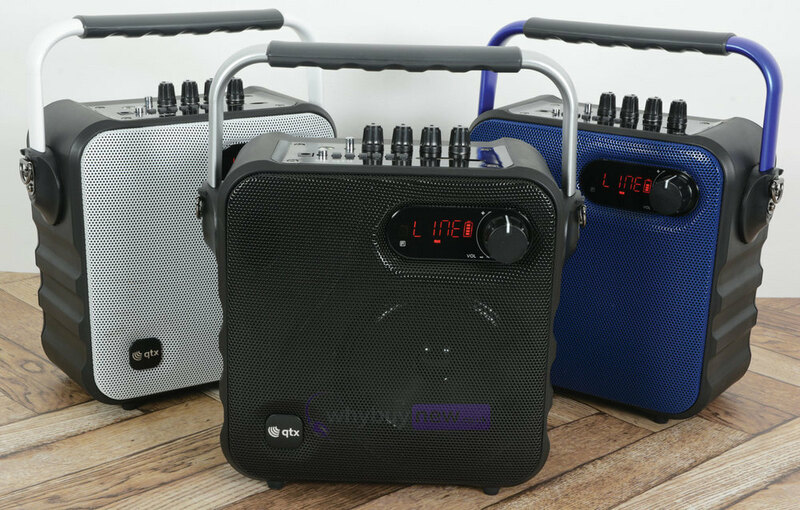 You can take this great little speaker anywhere using the integrated carry handle or additional shoulder strap providing the ultimate in portability.